If regular penthouses are coveted dwellings then the duplex penthouses are modern palaces. They have more space for all kinds of amenities, lofts, mezzanines and high ceilings, therefore, they are more luxurious. Duplexes also boast all kinds of unusual plans and layouts, so if you ever have the chance of living in one, we suggest that you cease it. In the meantime we prepared quite a few New York duplex penthouses though this isn’t even a half of what the real estate market has to offer. 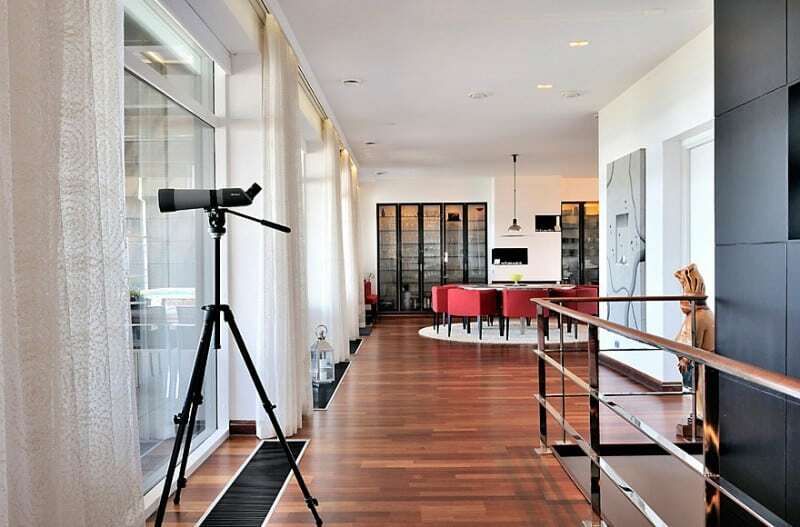 Other great penthouses are located all over the world including the cities like Tel Aviv, London and Stockholm. 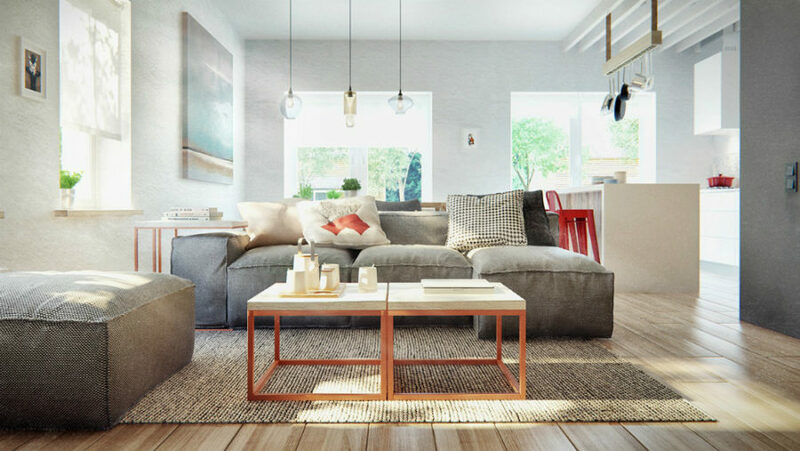 Since many of these apartments were previously owned by celebrities you can bet that they feature the best interior designs and the most unique layouts. TriBeCa is a place that keeps on giving. 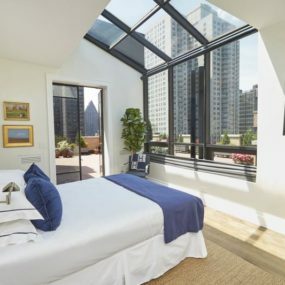 This time it’s a $7.5 million duplex penthouse retrofitted with a glass ceiling in the living room or is it a giant skylight? Can anyone tell at this point? Its exposed brick walls exude loft aesthetic whereas the black painted wooden floors add a luxury touch to the interior. 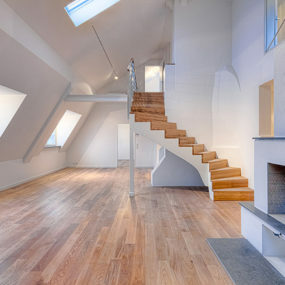 Between a suede and wood staircase and a giant skylight, this is definitely a no ordinary loft. Designer Jessica Shaw of Moment Design and Productions decorated its six bedrooms, three living areas, two kitchens, two laundry rooms, and three landscaped terraces. Wow! Architecture and design firm SAOTA keeps up the good work with this waterfront duplex in Cape Town. 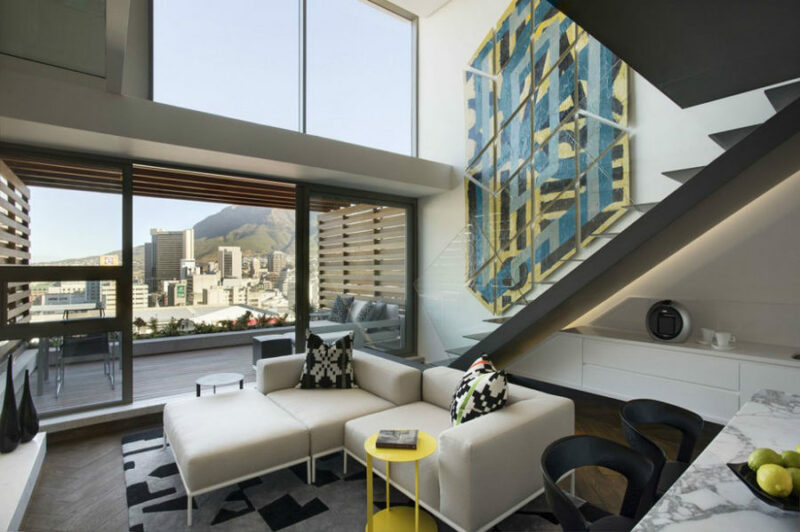 Mixing up modern African-style graphic prints and neutral greys the designers created a stylish modern apartment that is also inviting and luxurious. Ita living room opens up to a spacious terrace overlooking the city. And its bedroom is located in a loft above the kitchen. 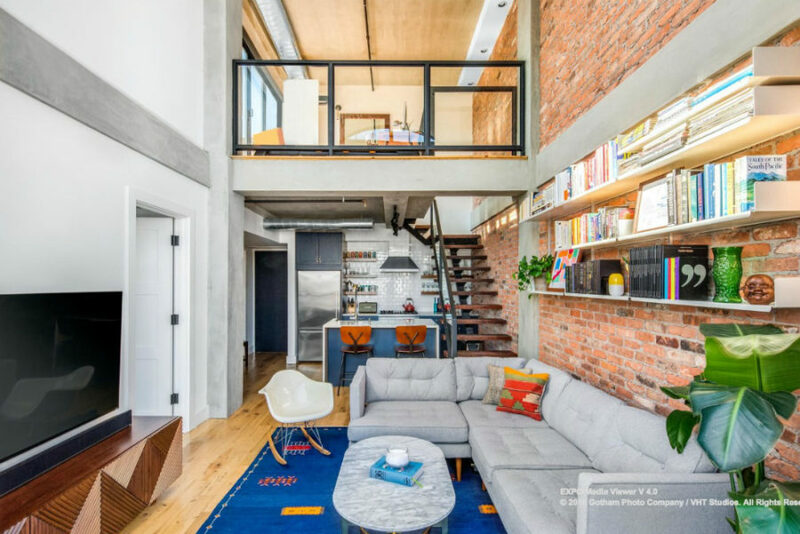 Williamsburg penthouse at 150 Richardson Street is probably one of the most affordable duplex penthouses in Manhattan, as it is priced at ‘only’ $1.425 m. Its style is described as ‘rustic meets modern’ and its exposed brick walls play to the typical New York loft aesthetic. Two private outdoor areas offer a place for hosting barbecues or sipping coffee while watching the city. And the custom built finishes and antique oak hardwood floors give character to the interior. SoHo is also known for its fancy duplex penthouses. 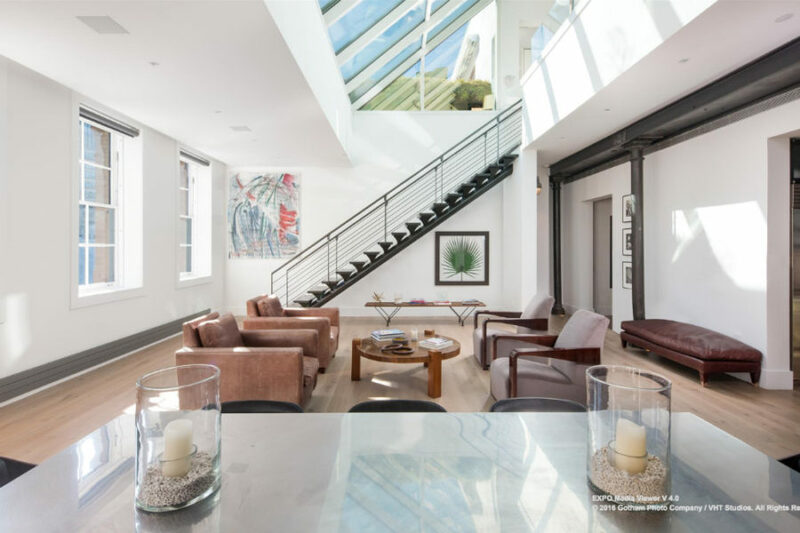 The one at 54 Thompson Street has 16 rooms including a rooftop kitchen, a spacious living area divided with floor-to-ceiling glass partitions, and an incredible floating staircase. Designed by architects Adam Yarinsky and Stephen Cassell of ARO the house once sold for $10.35 million, but it’s currently on the market for $12,9 m.
The size of a roller skating rink its living area boasts an eclectic design constantly attracting attention with new and new details. Yet the transitional spaces are minimal but no less luxurious. 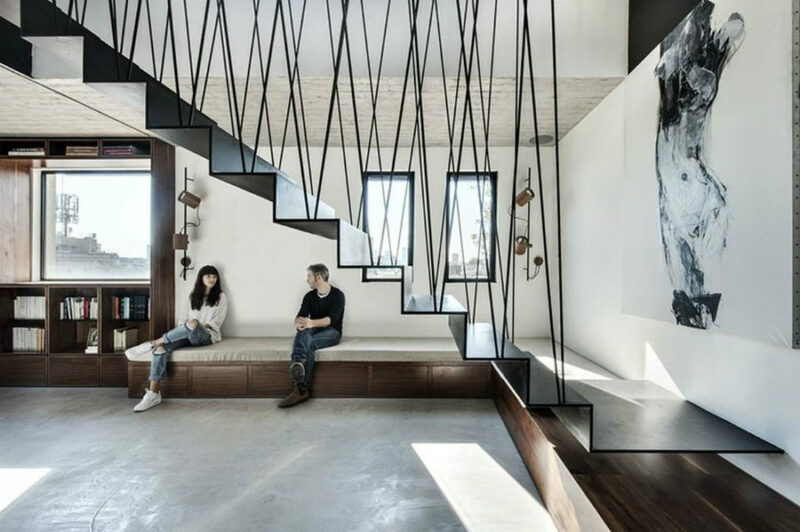 Y Duplex Penthouse by Pitsou Kedem Architects takes us to Tel Aviv. This minimalist modern dwelling in a neutral color scheme is an epitome of stylish functionality. On one hand, its open layout is divided into zones with the help of furniture creating separate areas for cooking and eating. On the other hand, wide floor-to-ceiling windows open up to exciting citiscapes of one of the best Tel Aviv neighborhoods. Together, it all makes for a luxurious but also a very lived-in look. 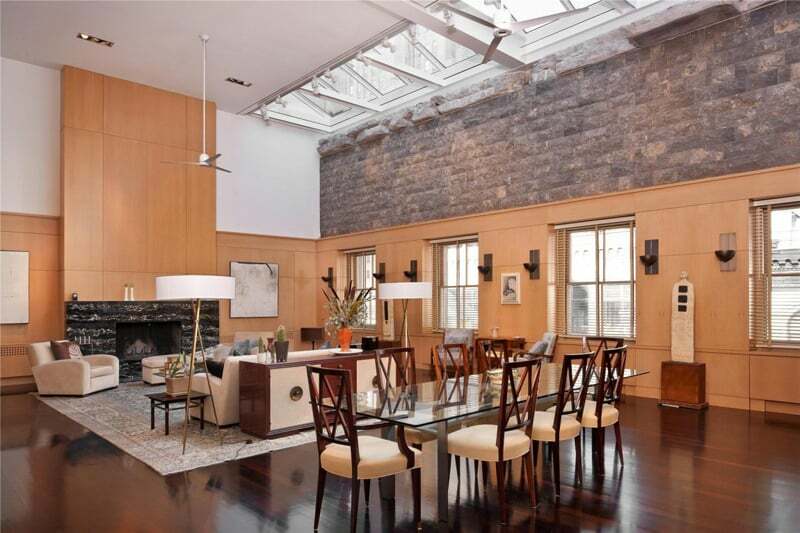 Back in New York palatial duplex penthouses are being sold left and right. For instance, this one in Astor Place Tower is the work of Charles Gwathmey and Robert Siegel. 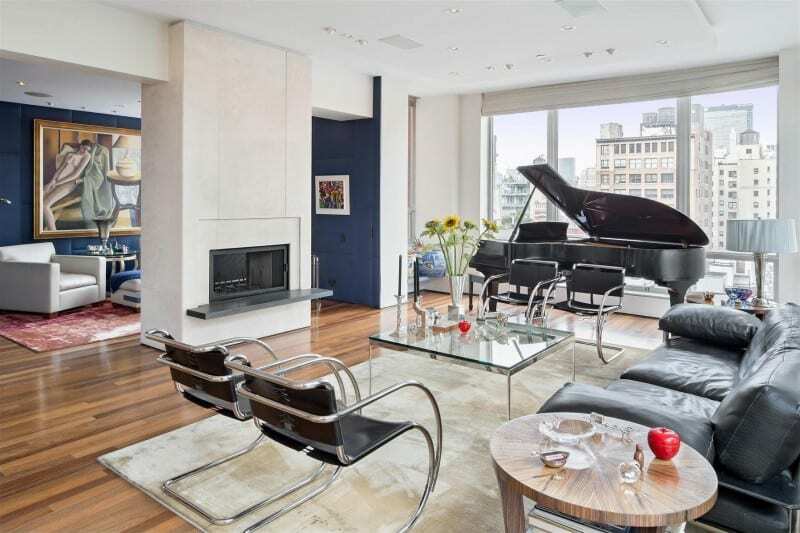 Furnished lavishly albeit a bit minimally the $10 million apartment is pure dream. Thick round columns coupled with a dramatic spiral staircase give it a majestic feel. And occasional artworks fill out the empty wall space creating a gallery atmosphere. 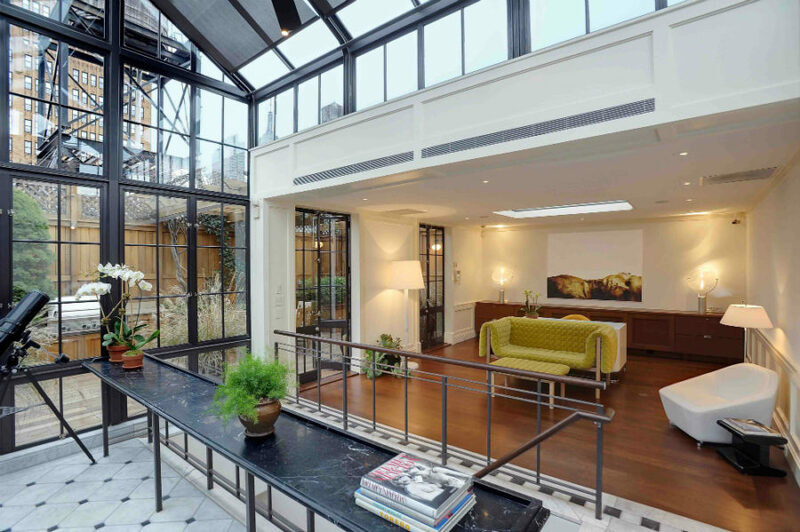 This $40 million New York duplex in West Village used to be leased for $95,000 per month. At offer is an area of 9,000 square feet (836 sq m) and several green terraces. The listing also specifies an en-suite bathroom with a steam room and huge floor-to-ceiling windows that reveal an inner courtyard. And since the interior design is minimaland monochromatic the lush greenery outside really livens up the place. Gucci penthouse is something else when it comes to, well, everything from design to square footage. The 9,450-square-foot (877 sq m) apartment listed by Gucci sisters for $45 million has 8 (eight!) bedrooms. Back in 2010 it was offered as a rental at $60,000 per month. It sits on the 50th and 51st floors overlooking the city. But thanks to its levelled design no view is obstructed from any point in space. 73rd St Penthouse by Turett Collaborative Architects is a sleek modern abode designed in a minimalist style. Its focal feature is an orange staircase that sets the color scheme for whole interior. 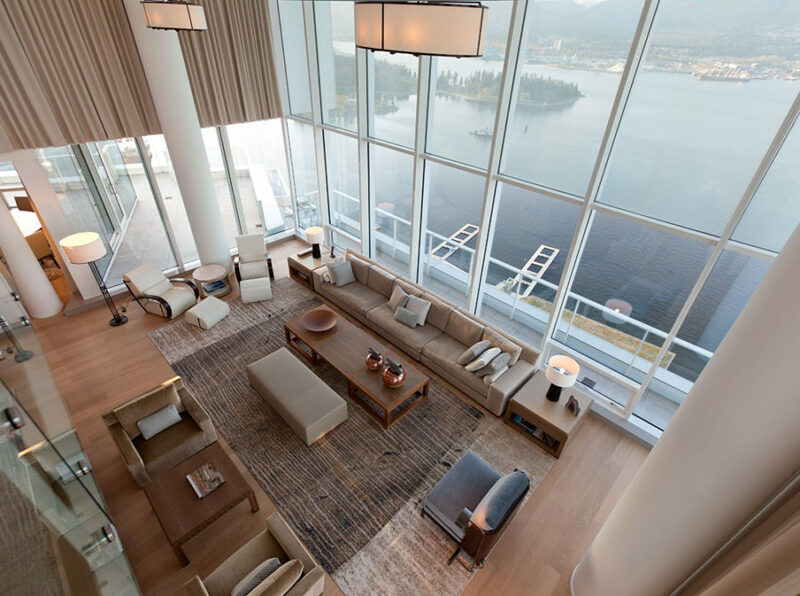 As every penthouse it has floor-to-ceiling windows that create an airy atmosphere. 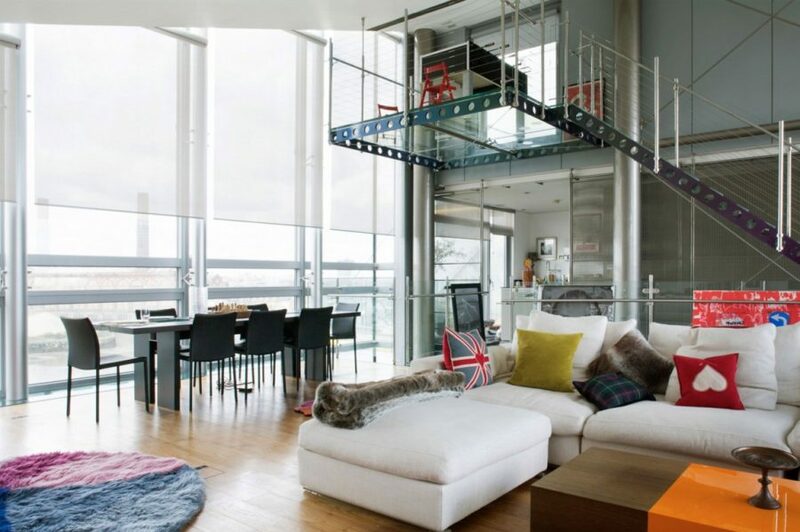 And thanks to glass mezzanine railings the layout keeps flowing organically. 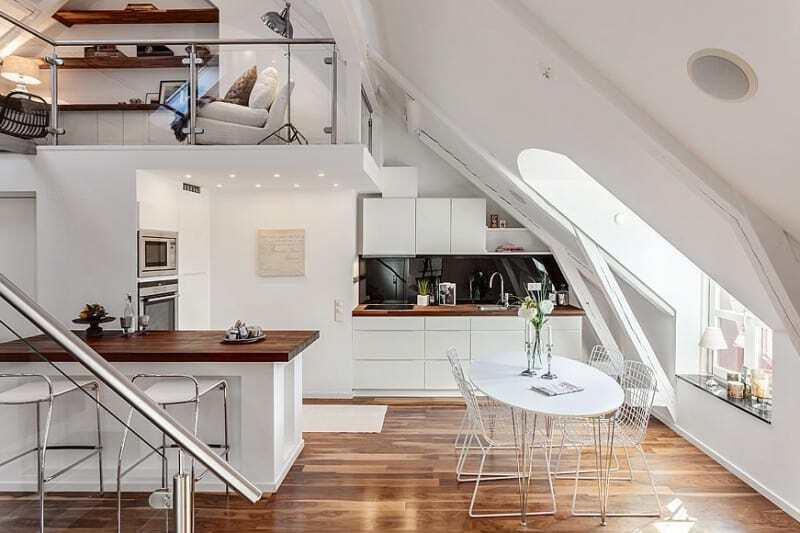 Attic penthouses are the latest trend in Stockholm. There is some special appeal to them, not to mention cool architecture characterized by vaulted ceilings, beams, and skylights. Interior design of this Swedish apartment combines the best traditions of Scandinavian decor and modern style. And its peculiar architectural details distinguish it from all others. 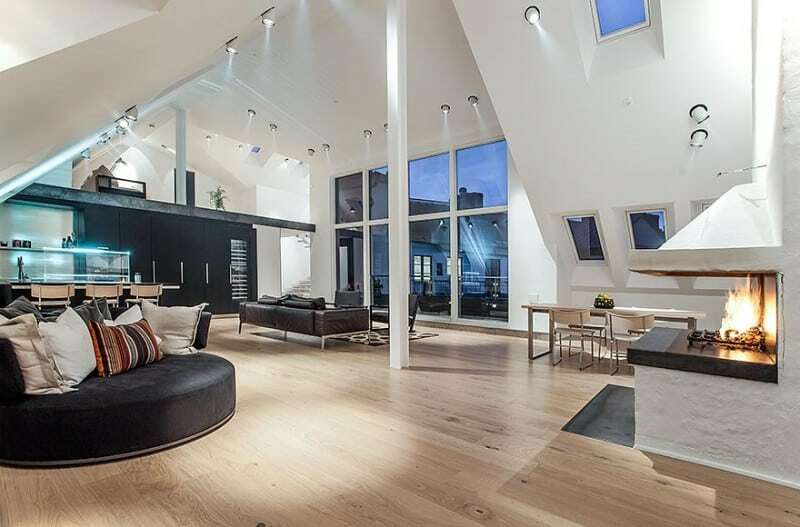 Sweden boasts a lot of great penthouses. This luxury duplex located in Malmö has a mini pool and a terrace that reveals the views of the city and sea. Black and white interiors come interlaced with red accents and punctuated with wooden flooring as well as mandatory floor-to-ceiling windows. 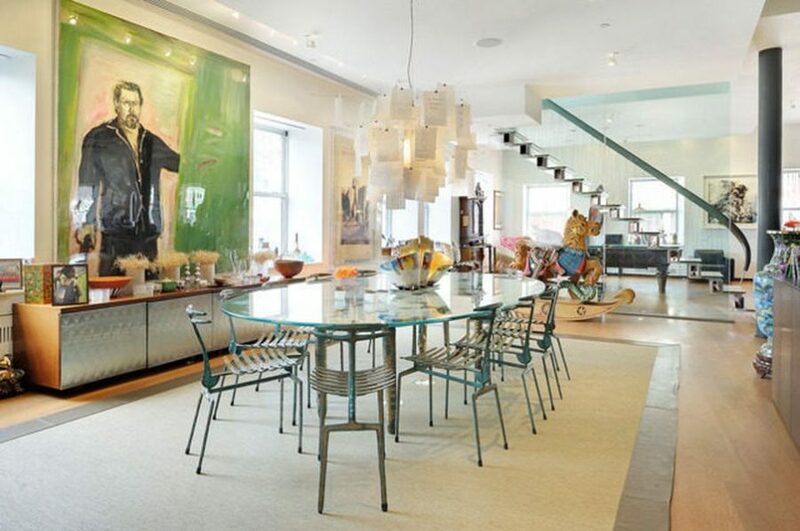 If you want a ‘one-of-a-kind home’ that is ‘consummately New York’, this Chelsea penthouse is it. Decorated with the wall panels specifically designed after Manhattan nightscape it looks unusual and stylish. Especially when you take note of a matching origami staircase made out of folded-plate steel and Corian. Dressed in white the gorgeous apartment looks bright and airy. And the glass balcony doors amp up the lighting reflected in numerous reflective surfaces. Chelsea Atelier have renovated another duplex penthouse in a 12-storey building in…Chelsea. From the looks of it the designers tried to marry modern and traditional styles in different rooms. But it all goes out the door (quite literally) through the glazed lobby leading outdoors. Minimal modern living areas designed in pristine white differ greatly from the all-wood home office exuding traditional luxury aesthetic. And this kind of contrast continues throughout the interiors. Another one of TriBeCa’s duplex penthouses is located in the Dietz Lantern Building occupying the top two floors and offering the views of north, west, east, and south from 50 windows. Aside from a cool loft library hovering above the neutral living room the sophisticated apartment also features a formal dining room, planted terraces, and a private swimming pool to complete the luxurious design. 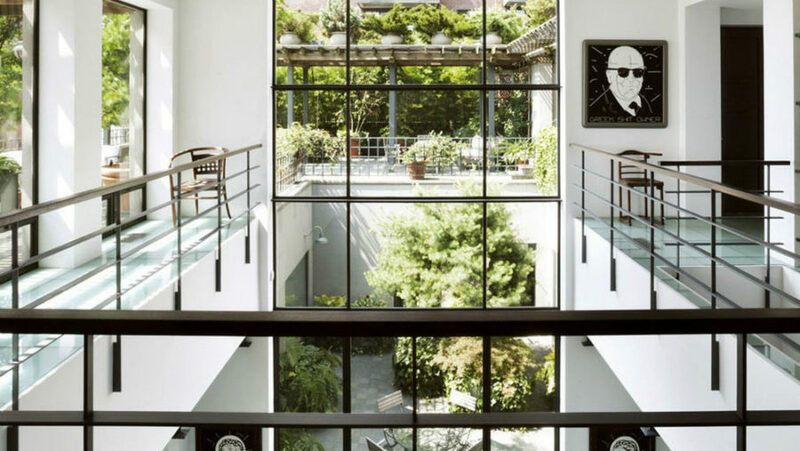 Also located in Manhattan this 6,800-square-foot (631 sq m) duplex has the most impressive atrium we’ve seen in modern housing. Complemented with huge windows that reveal 3,000 square feet (278 sq m) worth of terraces the $15,8 million property makes for one luxury celebrity crib. With six bedrooms and 17-foot ceilings the penthouse also provides a direct keyed elevator access and a glorious restaurant-style stainless steel kitchen. 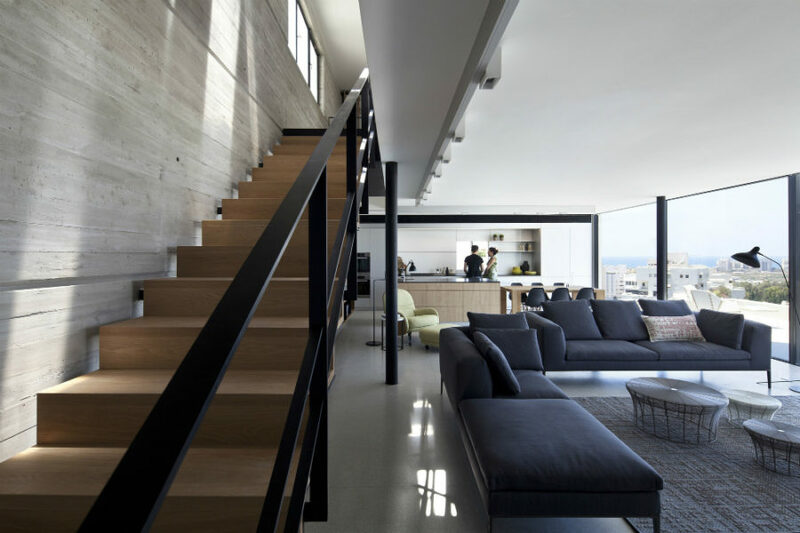 Pitsou Kedem presents another great interior design of a duplex penthouse in Tel Aviv. Sitting on the 30 and 31st floors the apartment opens up to the city. Heavily influenced by the mid-century modern aesthetics the interiors display a lot of wood, simple clear lines, and at times almost minimalist design solutions. Chelsea, Chelsea, there are so many great duplex penthouses there. For instance, this $13 million apartment located right in the heart of the neighborhood offers head-spinning views of Manhattan. Its luxury modern style is accented with bright colors and small and large-scale wall art. An open layout of the living area is divided into zones by the fireplace; huge windows allow plenty of natural light into the rooms. 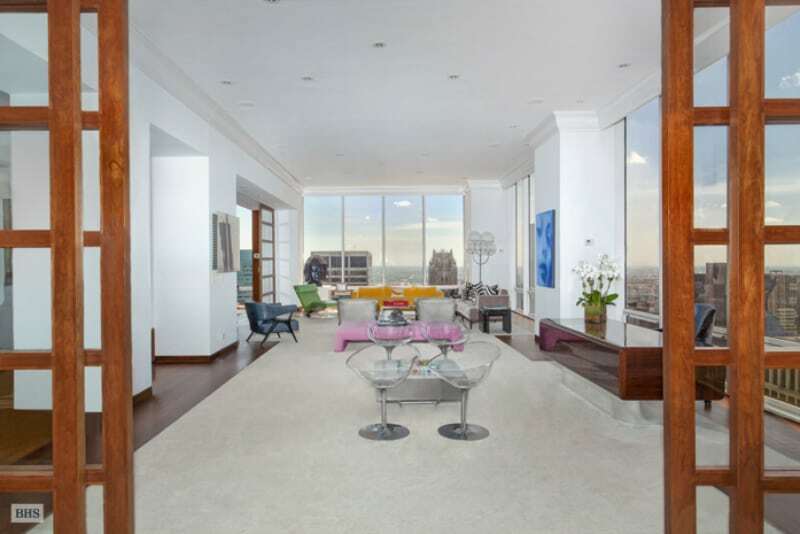 While we’re still in Manhattan take a look at this penthouse in New York that used to belong to an iPod accessory inventor Jeff Grady until he listed it for $12.5 million. 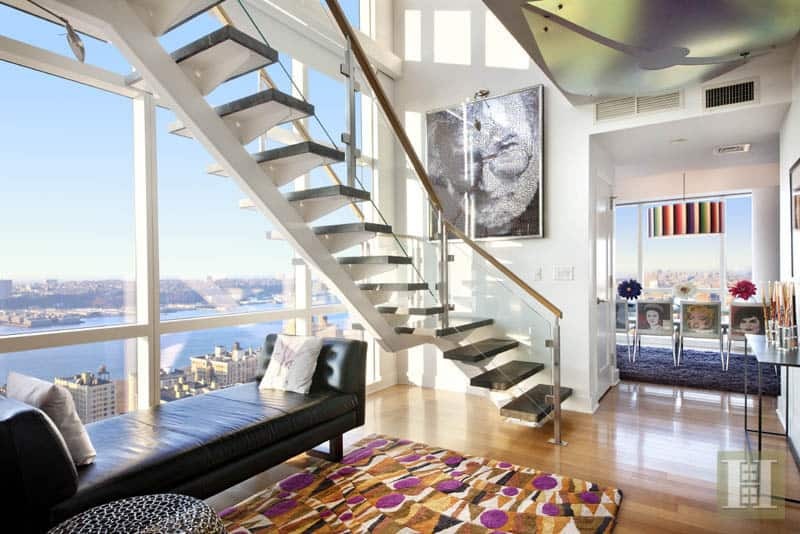 A colorful modern interior opens up to panoramic views from dizzying heights. The list of available amenities has everything one will ever need to experience the city life, stay in shape, or enjoy some good food. Lacking the ridiculous feel that characterizes most duplex penthouses this modern apartment accommodates a family of four. INT2 architecture authored the Moscow project ensuring a comfortable and lived-in look. Comprised of three storeys the house is designed in a calm color scheme with occasional pops of red and blue. Full of practical design solutions and natural wooden accents it appears quite homely and inviting. As mentioned above, SoHo is another neighbourhood where developers choose to build duplex penthouses galore. This one costs a whopping $37.5 million and offers six bedrooms and six-and-a-half bathrooms. Modern meets traditional in many aspects of this penthouse design. Unlike the living room that features familiar floor-to-ceiling windows, for example, bedroom is outfitted with traditional interior shutters. This one is also a Swedish penthouse. Doesn’t seem like it, does it? This is because the designers went for a more lavish (compared with Scandinavian tradition) design. Lush sofas, bold colors, and luxury finishes distinguish this apartment from others. 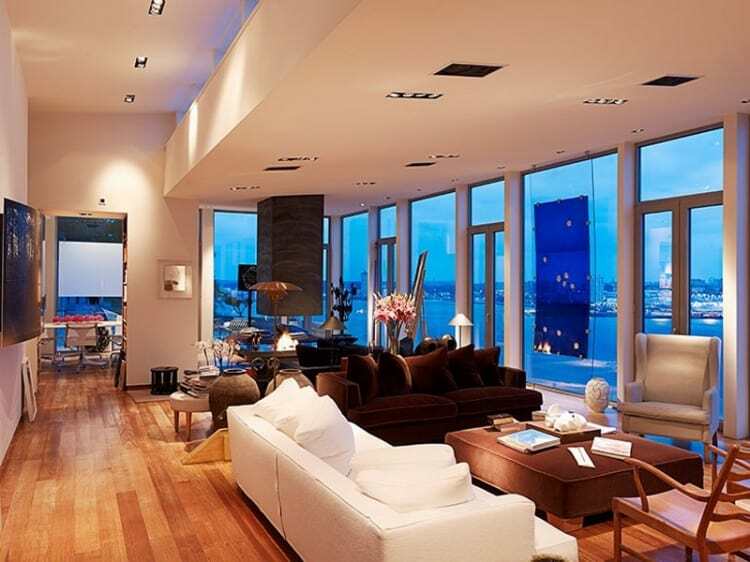 And only floor-to-ceiling windows come as an element of a typical penthouse design. One of the luxury duplex penthouses in Tel Aviv had a recent renovation with an architect Gabrielle Toledano behind the project. Although modern on the inside its outdoor spaces display a very traditional aesthetic. A big roof terrace and a pergola made of wood are complemented with green patches that are meant to increase privacy and create a more garden-like look. 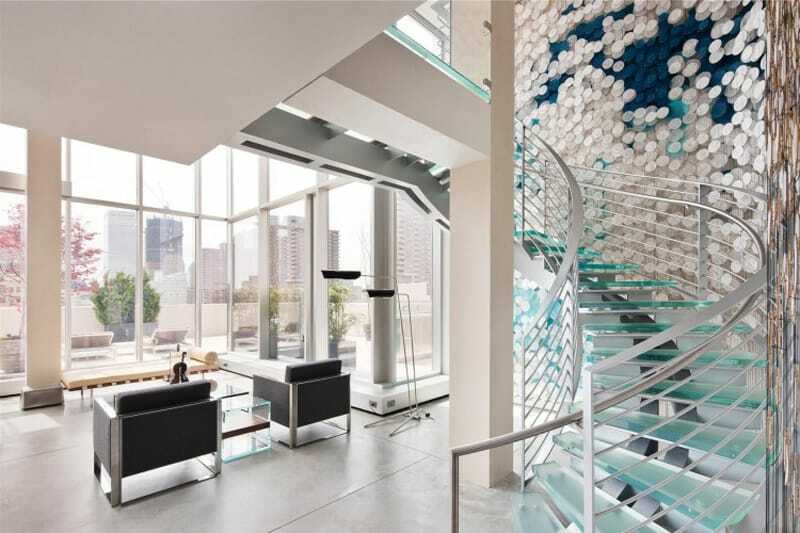 Located in East Village this incredible penthouse was designed by Turett Collaborative Architects who decided to put a helical slide in addition to a staircase for a fun and speedy descent. Boasting 2,400 square feet (222 sq m) the two-bedroom apartment came together from a combination of two penthouse condos connected with the slide. What a unique idea! You won’t see this in any other of these other duplex penthouses. In a 40-storey Park Laurel condominium there is a duplex designed by Beyer Blinder Belle and Costas Kondylis. Occupying the top two floors of the building it is comprised of five bedrooms and five-and-a-half bathrooms executed in sleek modern style. A curvilinear catwalk and tiered ceilings contrast with the ubiquitous straight lines of the apartment’s numerous windows. 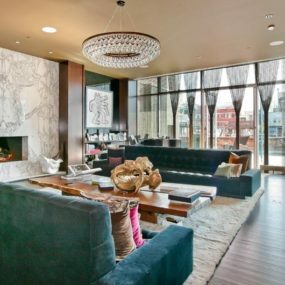 Fairmont Penthouse duplex located in downtown Vancouver is a 6,400-square-foot (594 sq m) property designed by Robert Bailey for a traveling couple. Designed in neutral colors the interiors don’t distract from the gorgeous views opening up from the two-storey windows. Conversely the city panorama makes for a picturesque backdrop for the luxurious dwelling. As in many other duplex penthouses there are spacious outdoor decks that allow residents to get out there and enjoy the views to the fullest. 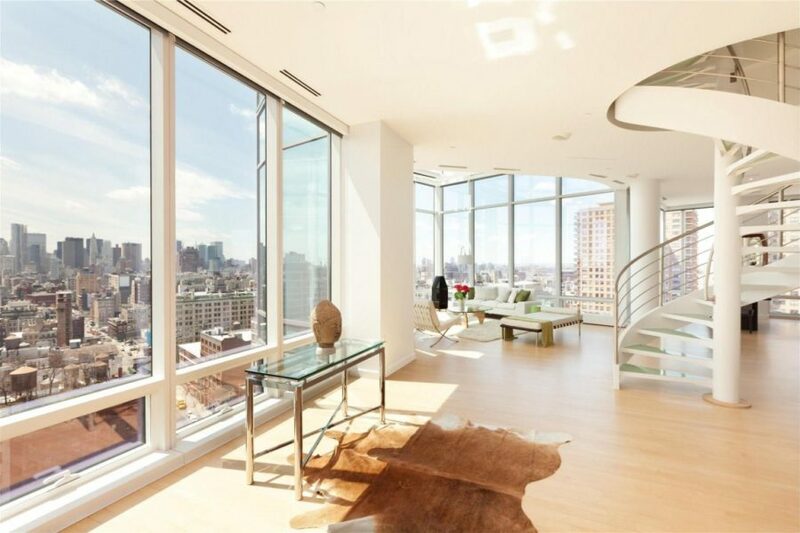 Back in New York there is a glass penthouse on Greenwich street that epitomizes modern living. It has views and spacious rooms, a home theatre, and a gas fireplace. What else could one possibly want? Well, there’s more, as usual. Gym, swimming pool, sauna, and wine cellar are a few in the long list of amenities. In addition the huge windows unveil views of the Hudson River along with Statue of Liberty. 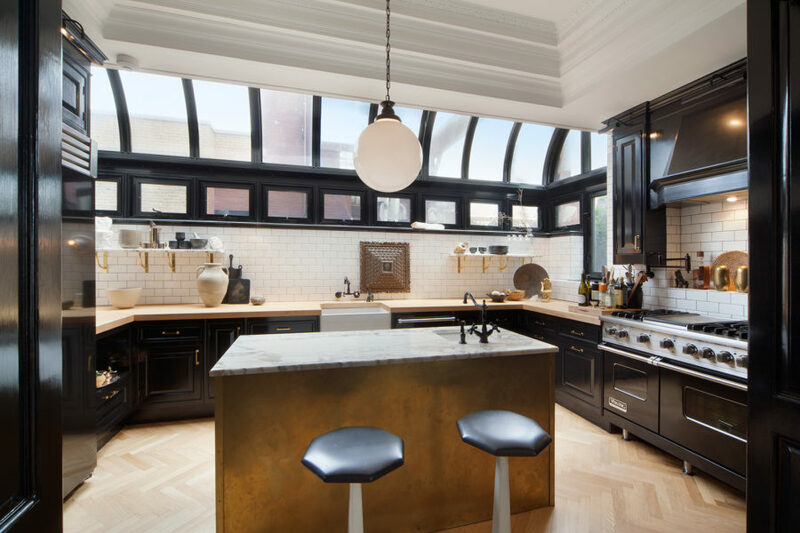 This kitchen once belonged to an interior designer couple Nate Berkus and Jeremiah Brent who too listed their Greenwich Village penthouse for $10.5 million. As you may expect the rest of the apartment is as elegant and stylish featuring intricate ceiling molding and beautiful French windows. 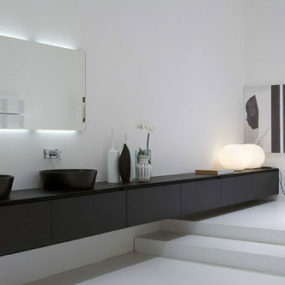 Because of the prevailing black and white color scheme the rooms flow into one another very naturally. It’s one of the most beautiful and tastefully designed duplex penthouses we’ve ever seen. Celebrities know a thing or two about duplex penthouses. 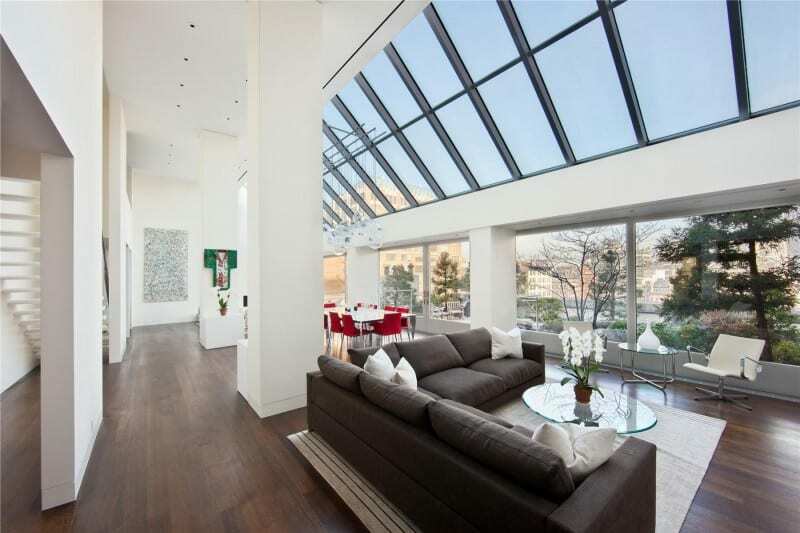 Jennifer Lopez bought this luxurious Manhattan property in 2014. Its spacious white interiors stretch across 6,250 square feet (580 sq m) and house four bedrooms and six-and-a-half bathrooms. Gorgeous French doors in the living room open up to 3,000 square feet (278 sq m) of outdoor space and views of the Madison Square Park. Besides impressive square footage though the condo boasts details like plastered ceiling beams and shallow wall alcoves. This Kensington Penthouse in London by an award-winning studio Staffan Tollgard Design Group brings a welcome change of scenery. With an area of 3,000 square feet (278 sq m) the apartment features a floating wooden staircase, a modern kitchen design, and a luxurious stone-clad bathroom. Round windows that can often be found in traditional houses and cottages create a cozy look in the living room. Transitional spaces however look extremely luxurious. Another London property is called Roger’s Penthouse. Designed by 1st-Option Studio it sits on top of the building along the Thames River. Naturally, there are many glazed walls dictating the interior aesthetics. 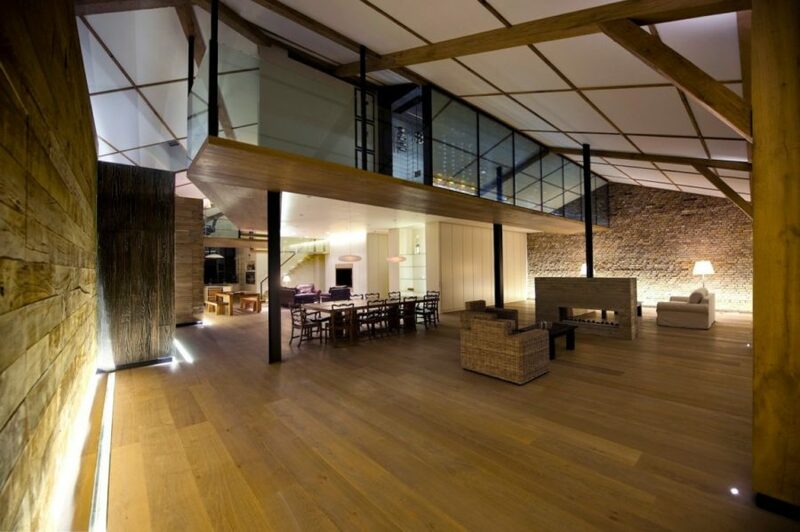 Even though there’s lots of steel and glass the look is softened with the light wooden floors. And bright accents are bringing some dynamic to the place. Another one of the luxurious TriBeCa duplex penthouses is located on Duane Street. Featuring a wooden interior and a series of skylights it masterfully mixes the modern and traditional styles. 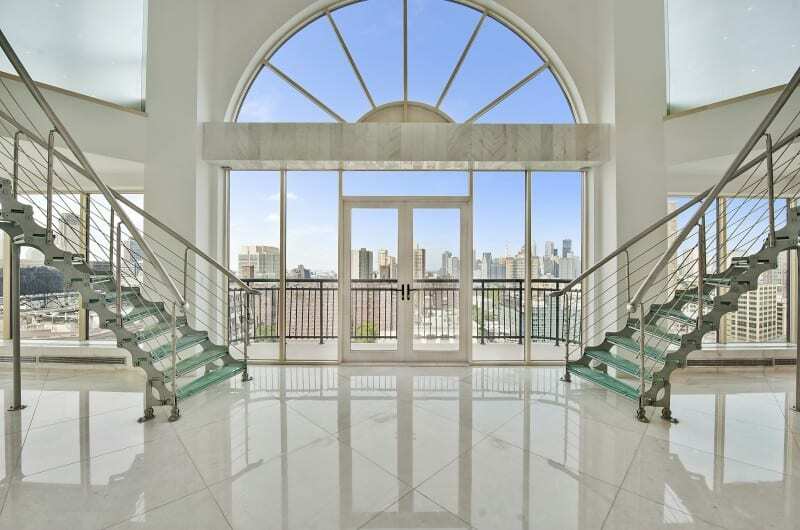 As opposed to many other penthouses there are no floor-to-ceiling windows, just an atrium. A loft connects all the public areas of the apartment creating a nice livable atmosphere in the open layout. And the outdoor areas provide a nice cozy place to enjoy the life on top. Studio 1408 has designed this F duplex in Bucharest by connecting two penthouse apartments. 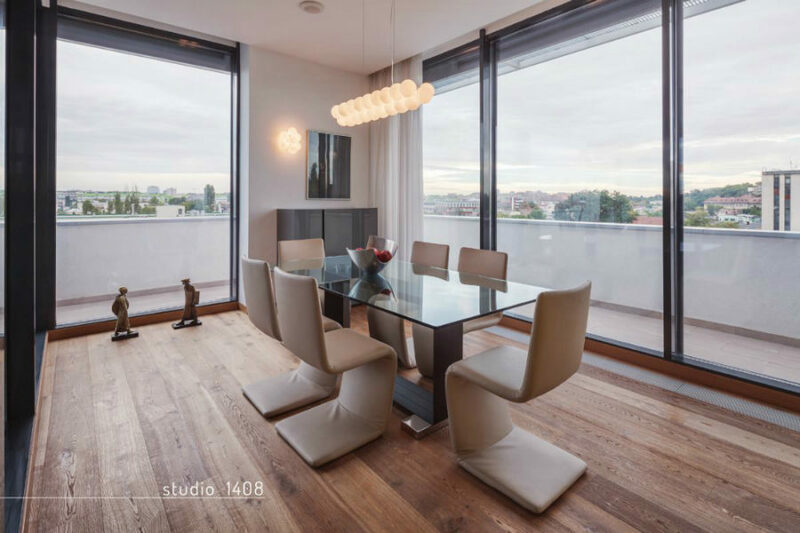 Offering 360 degree views of the city the stylish dwelling features a playroom, a laundry room, a wooden fireplace, and a loggia for alfresco dining. 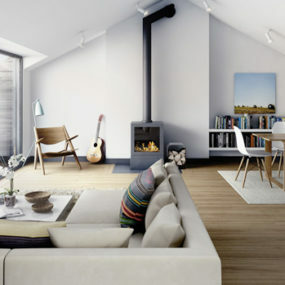 Minimalist modern finishes like wood, glass, and leather complement the built-in lights and an ultra-modern fireplace. Completed back in 2011 the Opera Penthouse by Domb Architects looks amazing. 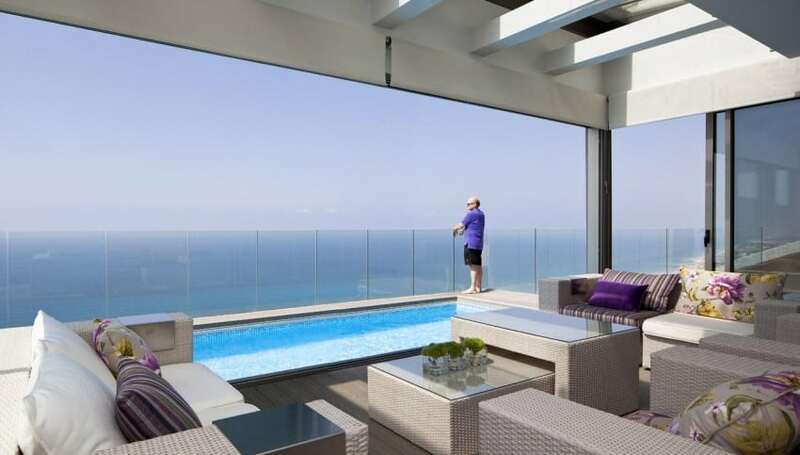 Located in Netanya, Israel the gorgeous apartment opens up to breathtaking sea views from one side and the city from another. While the side facing the sea is aptly reserved for the covered outdoor lounge spaces and an open swimming pool, the beautiful cityscapes are revealed through bedroom’s glazed walls. Adjoined bedroom and bathroom make for a hotel feel while the mirrored kitchen cabinets echo the sea outside. 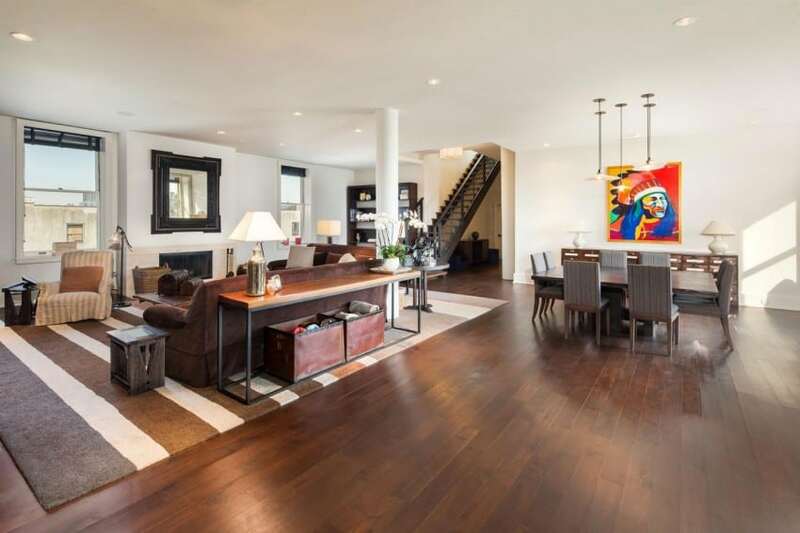 Located only ten minutes away from Wall Street a striking duplex penthouse in Brooklyn features a grand double glass staircase in front of an arched balcony entrance. It has five bedrooms and five bathrooms; 5,100 square feet (473 sq m) clad in stone tiles and wood that complement its majestic architecture. Priced at ‘just’ $4,95 million it also features overflowing whirlpool tubs, recessed lighting, and heated towel racks. Not a bad price considering the tags on some of these other duplex penthouses. 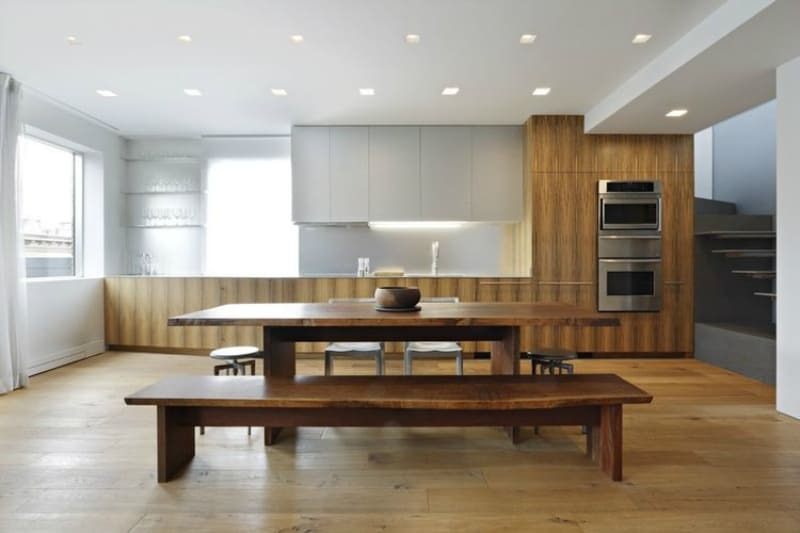 To compare, here is another New York duplex designed by Slade Architecture. Modest and lived-in this interior design is meant for a simpler and more practical lifestyle. Clad in wood and furnished with it the apartment looks inviting and not at all dramatic. Large windows allow plenty of natural light in while the cold dark greys inject some modern flair into the picture. 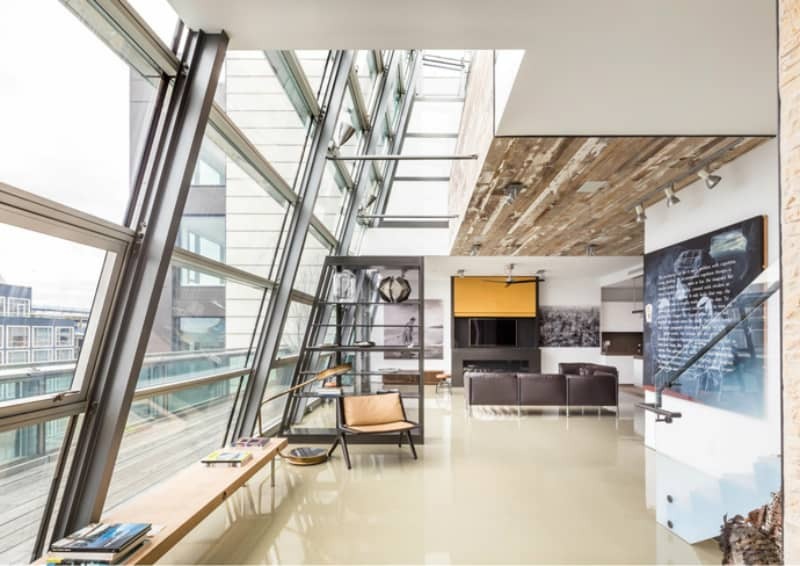 Kokaistudios designed this gorgeous duplex penthouse in China. Located on the top two floors of a building in Shenzhen it features incredible two-storey windows, an indoor courtyard, and a swimming pool terrace. Finished with wood and stone the interiors look a bit hotel-like however it doesn’t take away from the sheer luxury of the place. Studio Guilherme Torres has designed this apartment for a young and single entrepreneur client who wanted a modern place where to entertain friends. Besides a royal blue pool table there is a bookshelf that wraps around the living room that also has a kitchen. The interior design is minimalist and ultra modern with bright accents popping up here and there against the grey background. This SoHo place is probably one of the most breathtaking duplex penthouses in the world. 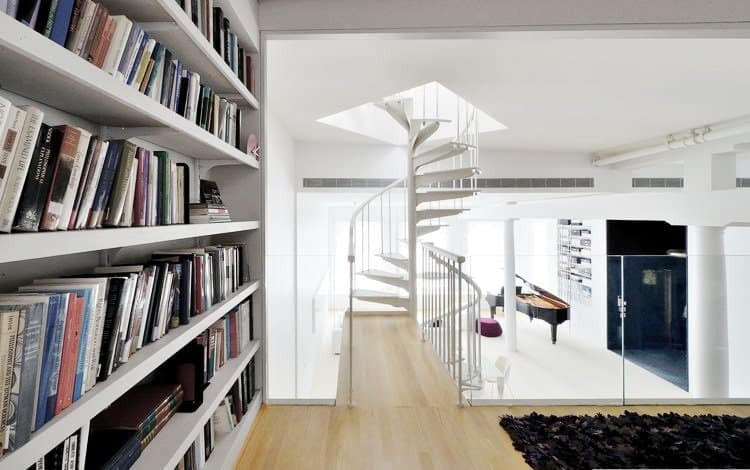 Conceived by David Hotson it features a modern spiral staircase that connects the different levels of the loft. Using color the designer masterfully separates different rooms and areas. A completely white living room may not be as practical, especially with kids around but it definitely helps a black grand piano to stand out. And an adjoined black hallway is almost completely hidden from view. Topping 1929 Art Deco TriBeCa is an elegant but striking duplex penthouse that is a work of art itself. A curvy glass staircase connects its two levels with a stunning backdrop that also repeats as a partition between the dining and living areas. The opposing block that houses more private rooms is clad entirely in wood and features a mezzanine wrapped with glass railings that allow unobstructed views of the city that open up through the glass shell of the penthouse. Another penthouse in Stockholm shows a masterful modern take on Scandinavian style. Clean and white interior design features luxurious wooden floors and countertops. A loft reading nook above the breakfast bar has a metal and glass staircase railing to keep the space airy. Whereas the other rooms are designed and furnished in minimalist style placing focus on the interior architecture instead. 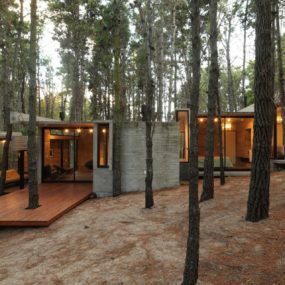 Paul Mcaneary Architects designed Tex-Tonic House 1 in 2010. Located in Victoria, London the spacious house was created with functionality and contemporary design in mind. For instance, glazed mezzanine in the living room houses a large wine collection and bedrooms. In the living room however the space is clad in brick and wood. 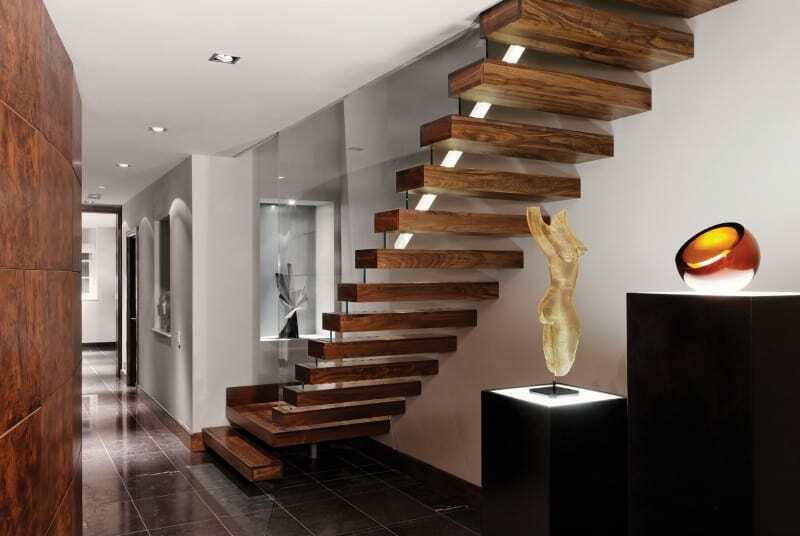 This juxtaposition of finishes creates an interesting dynamic. Yet the prevailing wooden surfaces make the house more inviting. Jennifer Lawrence may act like a down-to-earth girl but she likes to live luxuriously, it seems. 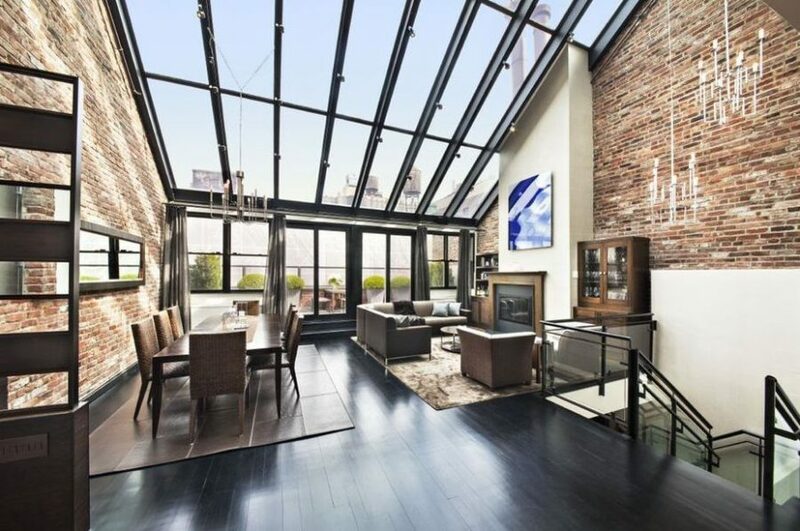 Famous actress spent $17.5 million on her duplex penthouse in TriBeCa in a discreet pre-war 1887 building. Besides the classy white interiors furnished with mid-century style furniture the house boasts a professional chef’s kitchen. 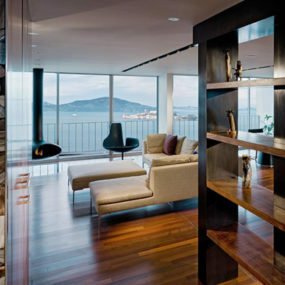 Duplex penthouses are without a doubt among the most luxurious living spaces in the world. Still there are more ‘affordable’ options out there, which proves that penthouses don’t have to be exuberant and overly-decorated.